Breeding season is around the corner. These are our Bucks of the farm. We offer breeding services for those who don't wish to keep a stinky, ahem, I mean handsome guys around or if you just need new blood. $25/session includes 1 free follow up if settling doesn't occur. Additional fee for travel depending on distance. 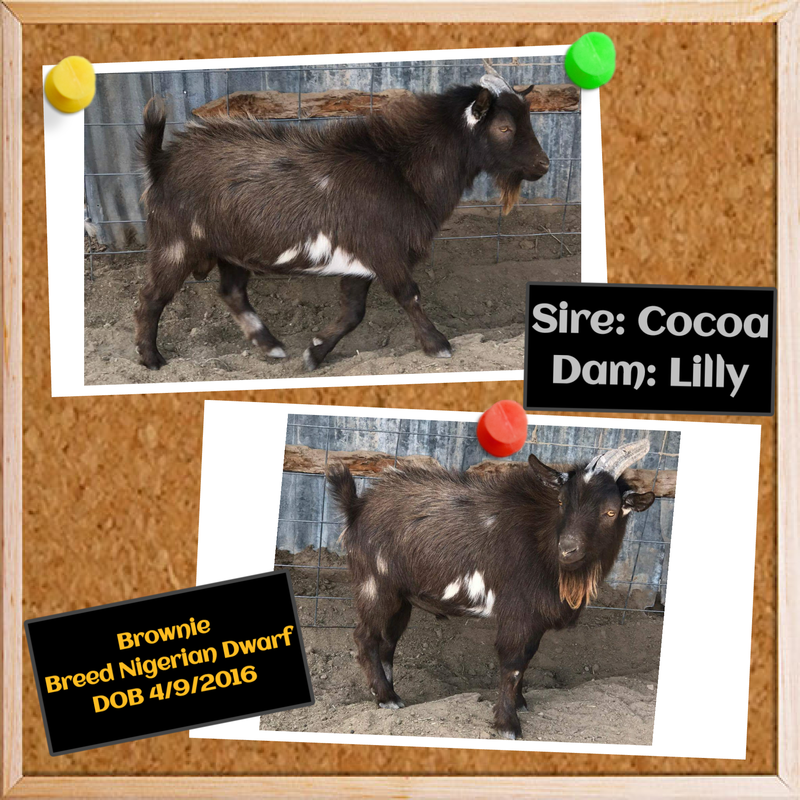 We currently don't have any registered bucks however Brownies Dam is registered. All are proven breeders and throw great colors.